The Saint Louis Meeting was hot! 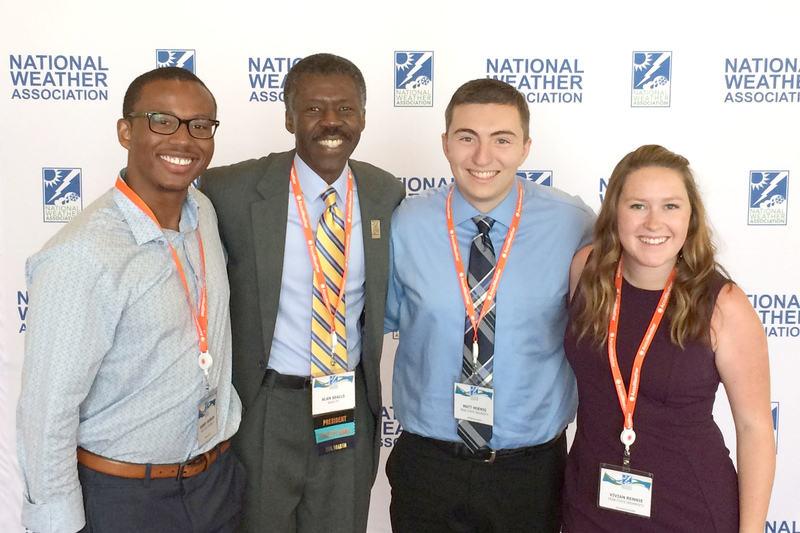 The National Weather Association 43rd Annual Meeting was hot! Including a successful Saturday WeatherReady Fest, each of the first four days reached 95 degrees or above at STL! Days 5 and 6 were back into the 80s. With attendance of well over 550, I saw the NWA past, present and future. Here are just two photos that feature the fine bunch of weather lovers we are. Look closely at the big picture and see if you can spot charter members Dan Berkowitz and Carl Thormeyer. Marvel at the most ethnic and gender diversity I've ever seen at a NWA meeting. Attendees hailed from outside the 48 contiguous states and from outside the U.S. Study the other picture of Penn State's finest and get used to seeing Robert Johnson, Matt Hoenig, and Vivian Rennie. They'll be back as they grow into professional meteorologists. They are our future. The presentations were like an all-you-can-eat buffet. There was something to please every prognosticator's palette. We got brain food and eye candy at the same time. Peruse pictures and slides on our Facebook and Twitter pages, and checkout the highlights of our Awards luncheon. So, when and where is next year's meeting? Hold on just a little longer. These secrets will soon be revealed online and in our social media. Until then, here's the Call to Action: review and comment on the proposed new Bylaws and Certificate of Incorporation by September 22. You only have a couple of weeks of review before you get to vote on them. Stay updated and be an active part of the NWA future.